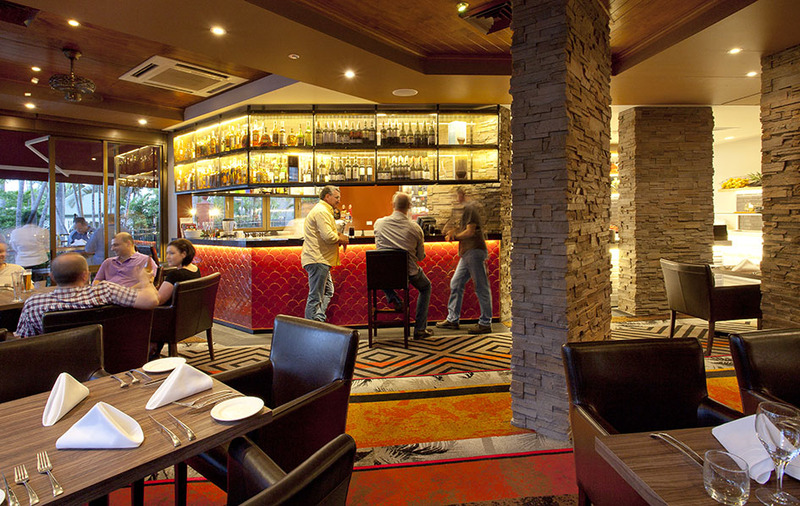 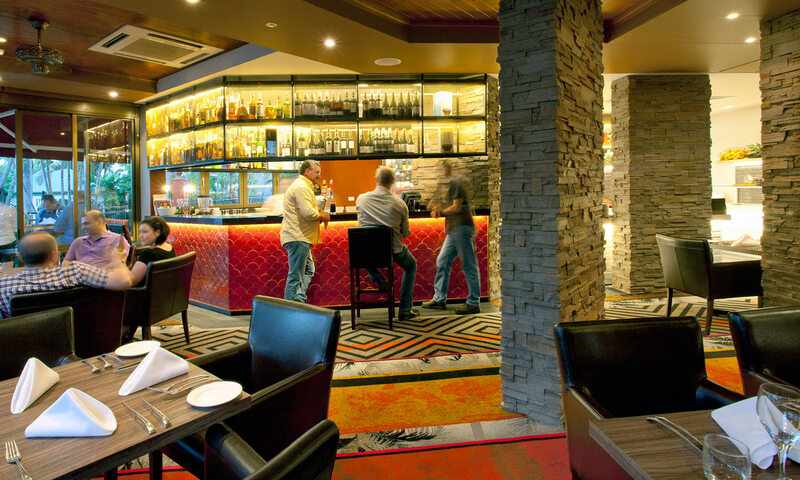 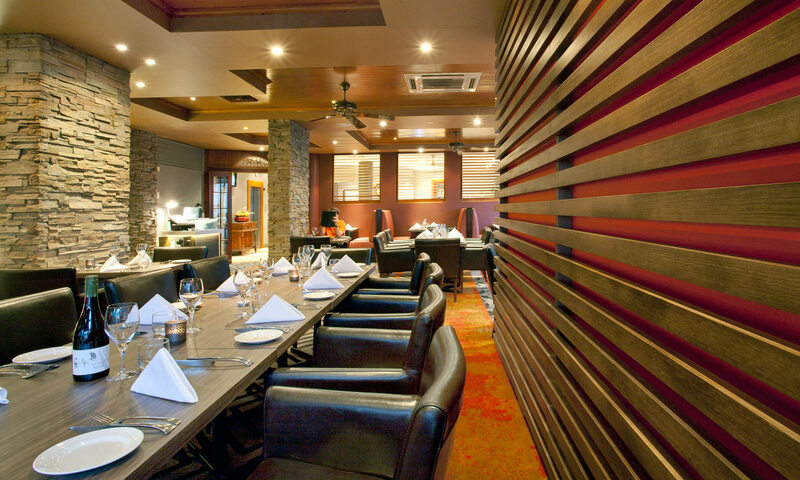 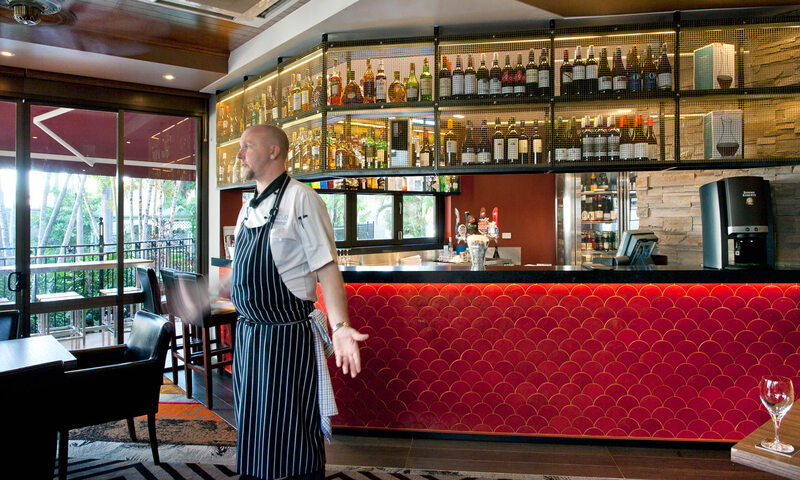 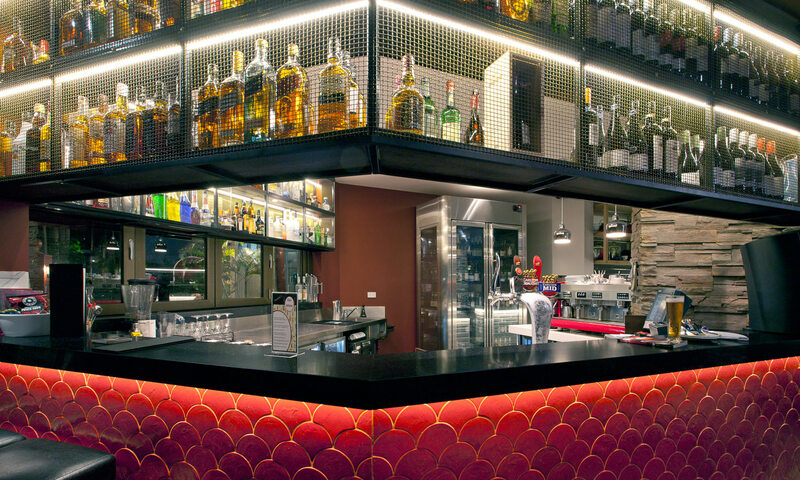 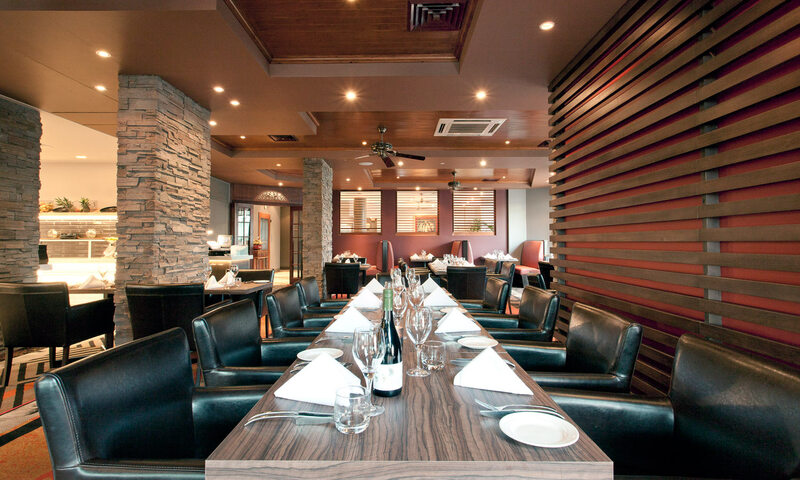 A steakhouse and bar within the Rydges Southbank hotel in Townsville, Queensland. 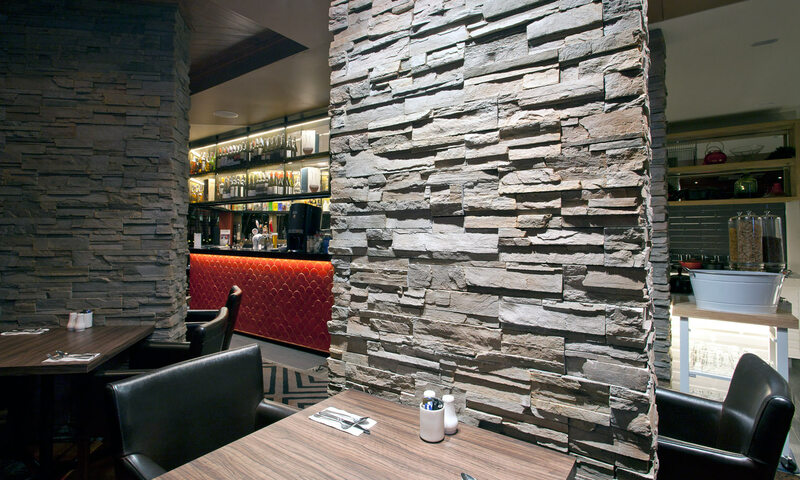 We created an ambient space with earthy materials, stone, timber and leather banquette seating. 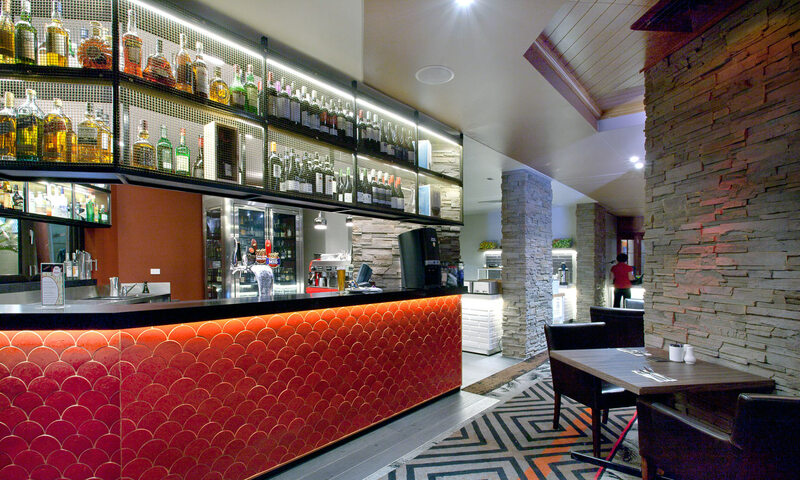 One of our feature elements within the restaurant, is a bespoke carpet that we designed, to create a graphic feature to the space and a pop of colour. 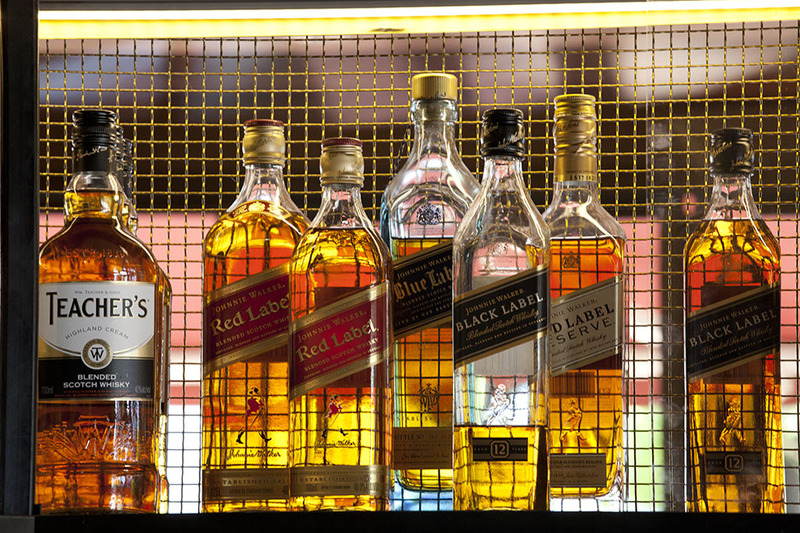 The brass bottle display with integrated low level lighting creates an ambience to the interior. 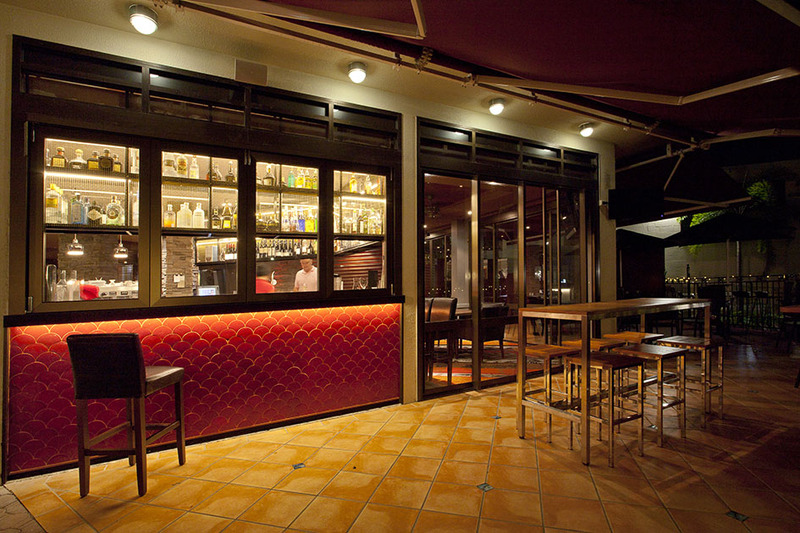 We also worked with the base building perimeter walls and introduced new bi fold windows to the bar, allowing service to both inside and outside seating areas onto the terrace and pool.